Points & Miles 101: Before You Cancel a Credit Card Make Sure You Do This! As you might imagine with over a dozen active credit cards, I am potentially on the hook for a lot of annual fees as the best credit cards that offer points or miles typically have high annual fees ($65-$450). Sometimes when I signup for these credit cards the annual fee is waived for the first year so it is only after having the card for a full year do I have to decide whether to pony up for the annual fee. On some credit cards the annual fee is definitely worth it as they give you a free hotel night (IHG, Hyatt, & Marriott credit cards), bonus points (Club Carlson) or airline credits, elite status and lounge access (Amex Platinum) simply for paying the annual fee. On other cards though, there is no point to keeping them after the first year as I simply signed up for the card to get the large signup bonus, which we all know is the easiest and quickest way to earn lots of points and miles. I signed up for the American Express Starwood credit card in August 2013 when the signup bonus was for 30,000 Starwood points for spending $5k in 6 months and the annual fee of $65 was waived for the first year. I was excited to earn the 30,000 bonus points but once the first year ended, I had to decide whether to cancel the card or renew it. Unlike some of the cards mentioned above, the Starwood card doesn’t offer any sort of renewal bonus so for most people I would recommend cancelling the card unless the annual fee could be waived or you got enough bonus points to keep the card open. 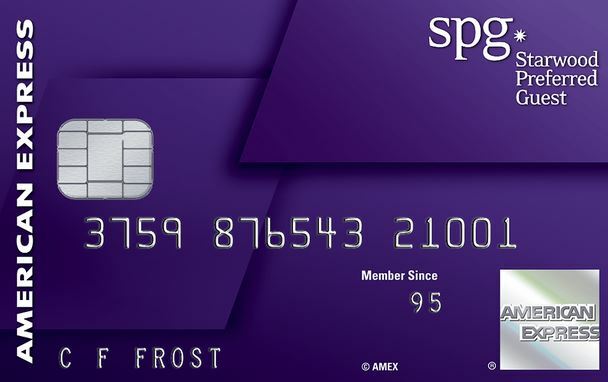 For me however, I wanted to keep the card another year as it is my go to card for everyday purchases as I am trying to increase my Starwood point balance and this is the only credit card that earns Starpoints (unlike say Hilton or American Airlines which all have several cards that earn those type of points or miles). 1) Always be polite – There is no need to get aggressive or sound agitated. Ask them how their day is or how their weekend was. They deal with enough annoying people daily so being nice to them can go a long way. More often then not there is a greater chance the rep will try to help you in anyway possible if you are nice to them. 2) Tell them want to cancel the card, NOT “I am thinking of cancelling the card” – You need to sound plausible and sincere about cancelling a card to get the reps to make an offer to you to incentive you to keep the card another year. In this case, it comes down to who is gonna call who’s bluff. If you sound serious about cancelling, the rep will have to make more of an effort to keep you (i.e extra bonus points). There is no guarantee this works but it will increase your odds. 3) H.U.C.A (Hang up, Call again) – My favorite piece of advice. Make sure to not let the agent cancel the card if you receive no offer – as they start reading the legal mumbo jumbo before they can cancel the card, just tell the rep you’d like some more time to think about it and you will call back. Or my personal favorite – tell them you received an urgent call from your boss on the other line and you can’t miss the call. That will stop the rep from processing anything and it allows you to HUCA and hopefully be more successful next time with a different agent. This worked for me in my example below. 4) Be prepared to walk away – This could actually apply both ways. Be prepared to go ahead and cancel the card if you have tried several times to get something but all the reps have refused and your true intention is to cancel the card. On the other hand, if you really want to keep the card, you might be forced to give up trying to get any extra points or the annual fee waived and just accept it for what it is. Make sure to not let the agent cancel the card on you in this case. Going back to my example, my first attempt to “cancel” my SPG Amex was via secure chat while logged into my Amex account online but the rep was unwilling to offer anything when I asked if the annual fee could be waived. I pushed a bit further and asked about a “retention bonus” to keep the card open. Again, he could not offer anything, but he did suggest that I call the American Express retention department directly and ask them. The phone number to the American Express Retention Department is 1-800-452-3945. Later that afternoon, I called the retention department and I was quickly connected to a live agent after entering my card number. I explained that I was speaking with another agent who suggested I speak with the retention department before cancelling my card. She asked why I wanted to cancel and I told her with the other 4 Amex cards I have open, I was paying too many annual fees and “I was trying to get a hold of my finances”. Almost instantly after saying that, the agent proceeded to explain as a policy American Express does not waive annual fees but it could offer me some bonus points if I kept the card open. My offer was for 1,000 Starpoints + an additional 500 if I spent $1,000 on the Starwood card in the next 60 days (which was fine since I had to buy a new patio set the following week). Even though the value of the points (worth $30 to me at 2 cents a point) didn’t cover the annual fee, I still accepted the offer. As I stated earlier, it is really hard to earn Starpoints and I wanted to increase my Starpoint balance for some future trips I have in mind. With the annual fee in theory reduced to $35, that was a price I was willing to pay to collect Starpoints for another year. This may not work for everyone, but it works for me and my point earning strategies. In closing, I was content to renew the Starwood American Express for the annual fee of $65 but before I did, I made sure to “pretend to cancel” to see if American Express would blink and offer me something not to close the card. It worked as I earned an additional 1,500 Starpoints for my time chatting with a rep online and then calling American Express. There is a whole thread on Flyertalk showing other offers people received to not cancel their cards, so I highly recommend trying this approach before cancelling your next credit card. Who Should & Shouldn’t “Travel Hack”? Getting Your Credit Score For FREE! Today’s topic will discuss the different types of points and miles out there. As you will learn shortly, all points and miles are not equal. 1. Airline Miles – Ever hear the word “Skymile” or phrase “frequent flyer miles”? Airline miles are probably the most well-known type of points or miles out there. Every major carrier has them and calls them something different. Examples include Delta SkyMiles, American Airlines AAdvantage, United MileagePlus, JetBlue TrueBlue etc..
2. Hotel Points – All major hotel chains have hotel loyalty programs such as Hilton HHonors, Marriott Rewards and Starwood Starpoints. Hotel points are generally more flexible then airline miles as you could use them for free hotel nights or convert them to airline miles. In some programs this can be very beneficial – for example Starwood will allow you to convert 20,000 Starpoints into 25,000 airlines miles. In others though, the ratio isn’t as great and the best use remains towards free nights at hotels. 3. Bank Reward Points – There are two types within this category with one being significantly better than the other. • Transferrable Rewards Points – These points are my favorite types of points and they include Chase Ultimate Rewards and American Express Membership Rewards. There are so many options on what to do with these points. You could book any flight or hotel room with these points directly and just pay the total cost in points or you could transfer these points to many different airlines or hotels. I personally love the 2nd option most because it gives me the most options for my trip and doesn’t lock me into one specific program. If I have 100,000 Chase Ultimate Rewards points, I could transfer 25,000 points to United to book my flight and 50,000 points to Hyatt to book 3 free nights at a hotel and still have 25,000 left over to top off an account or save for a future trip. The flexibility here is what makes them so valuable. • Fixed Value Rewards Points – This is the more traditional bank reward points and this is also what I’d guess many people have as this covers Capital One, Barclays and Bank of America points. These points are generally worth .01 each and they allow you to book any flight or hotel. So for example a $400 domestic flight will require 40,000 points but with United or Delta or American Airlines, a domestic flight is only 25,000 airline miles. Many people also redeem these points for cash back or merchandise which I personally would never do nor would I recommend. I generally stay away from these points as I can get a lot more value out of flexible points or even airline miles and hotel points. What kind of points or miles do you plan to collect? We’re back with Points & Miles 101 and I am giving out some homework in this installment. Today it’s a very easy and basic assignment but one that is absolutely necessary to begin your journey in points and miles. So far we’ve discussed your credit report, what is your credit score, and creating a travel bucket list in this series. With that information, you’re almost ready to apply for a rewards credit card that earns points or miles to all the exotic locations on your bucket list. However, in order to accumulate these frequent flyer miles, you need frequent flyer accounts! It’s no good signing up for an American Airlines credit card if its not linked to your American Airlines AAdvantage account! This seems like common sense but a friend of mine forgot this very rule when he applied for a US airways credit card (that’s what he gets for not talking to me first…). The miles will still accumulate but they will be placed in a new, random frequent flyer account the bank has set up for you – obviously this is not optimal (don’t worry a phone call to the bank got everything straightened out). Below, I’ve included links to the major frequent flyer accounts and hotel loyalty accounts you should signup for. Yes, it will take a little time to signup for each but you will save this time later on when the next big 100,000 mile credit card comes up and you already have a frequent flyer account ready to go and use on the application. Even if you don’t plan on ever flying a certain airline, you still want to signup for their frequent flyer account. For example, I’ve never set foot on a US airways flight but I have over 300,000 miles with them. And if you swear you won’t fly US air even if it’s free, you still want their miles because you can redeem them for free flights on their partners. So I highly recommend signing up for all these accounts now! P.S. Stay tuned for a FREE, super easy way to manage all of these accounts in the next Points & Miles 101 installment. Points & Miles 101 – The next segment in this series is obtaining your credit score for free and I plan to follow it up with posts discussing more about points and miles themselves – (which kind of points and miles exist, are all points and miles equal, etc.) I will also provide you with some tools and instructions on how to get ready for that first credit card application. Award Trip Breakdown – This is a new series I’m about to start that will discuss more in-depth on how I acquired points and miles for trips and then how I actually booked them. I already touch upon this in Where I’ve Traveled on Points & Miles but I want to provide a little more detail on how I earned the points & miles for a particular trip and how easy it can be for you to do the same.